CannaColor is SoCal's original cannabis paint night! We offer our guests a fun, safe and creative way to enjoy California's recreational cannabis... and the best part is; it's all for a great cause! CannaColor is a fundraiser for Shine; a not for profit that supports families living with chronically ill children. During the event there are raffles and other donation opportunities. As "thank you" gifts, we have sponsored goodies in our gifting suite; including items such as prerolled joints, edibles, dabs and various other THC/CBD items. Because of this, CannaColor Paint Night is open to guests 21+ (no medical rec needed). ID is checked at the door. Guests are provided with: 16x20 canvas All paint supplies Instruction from a local artist Options to explore FREE sponsored cannabis gifts Refreshments Safe environment to learn about & opportunities to consume recreational cannabis Join us for one of our upcoming parties! 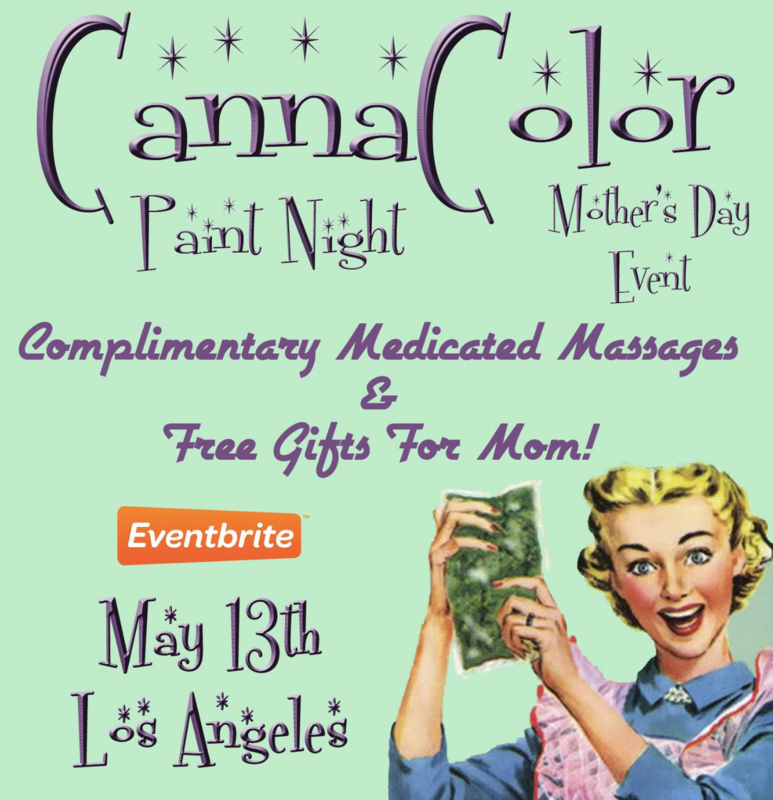 Celebrate all of the Moms in your life with a very special CannaColor painting experience! We will have So Kneaded delivering complimentary medicated massages AND special treats for all the Mommas in attendance! Nothing says "I love you mom" like some wonderful green flowers!